One of the best things about the Raleigh-Durham area is the availability of recreational activities, including boating opportunities. Anyone who has been to Jordan Lake, Falls Lake, or Harris Lake in the middle of the summer knows that Wake County is home to countless jet skiers, kayakers, speed boaters, fishers, and others. Unfortunately, not all folks on the Lake behave reasonably. 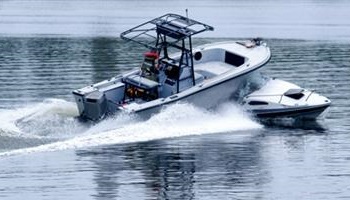 Many operate their boat under the influence of alcohol, at excessive speeds, or in a generally reckless manner. This sometimes results in injuries. When it does, the attorneys of Maginnis Law can help you with recovering fair compensation for your losses. Boating accidents are an unfortunate result of an atmosphere where many casual boaters do not know the rules of operating their vessel. According to the North Carolina Wildlife Commission, there were 143 reported boating accidents in 2013 and 17 boating fatalities. Many of these involved jet skis or speed boats. Often times, the folks injured are innocent passengers, swimmers, tubers, or others. If you have been injured as a result of another boater’s negligence, you have the right to hold him or her responsible. The recoverable damages include compensation for your medical bills, lost wages, pain and suffering, disability, and disfigurement. If the boater who injured you was drunk at the time of the collision, you may be also entitled to recover punitive damages. These are damages that are intended solely to punish the drunk driver for his or her conduct. Maginnis Law provides free consultations to those involved in boating collisions. While our office is located centrally in Raleigh, we represent North Carolinians all the way from Asheville to Wilmington. To schedule a free consultation, just call our firm or send an email using our contact page. Like all personal injury matters, our firm offers a contingency fee arrangement for boating collision cases. This means that unless we recover a verdict on your behalf, you do not owe any attorneys’ fees. We travel across the state of North Carolina to meet with potential clients.